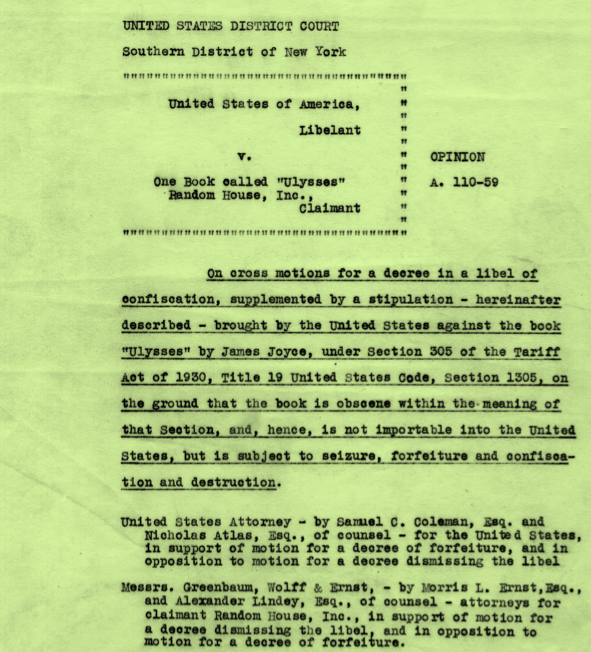 United States v. One Book Called Ulysses was a December 6, 1933 case in the United States District Court for the Southern District of New York dealing with freedom of expression. At issue was whether James Joyce’s novel Ulysses was obscene. ← Why does movie title disturb Set?